It’s always interesting to me to see stories about the worldwide hops shortage continue to pop up in strange places – the most recent of which hit me when I opened the most recent issue of Inc Magazine which arrived at my doorstep a few days ago. The story, which is also available on inc.com, certainly didn’t reveal anything new about the crisis, and used the same old recycled story of Jim Kock’s generous donations of hops early in the year. I wonder how much longer the same old story will continue to pop up. Until prices start to drop? Mr. Polley is among a small but rising number of newcomers to attempt to grow hops on a commercial scale outside the Pacific Northwest, America’s haven for hops. “I’m convinced we have a chance to do something to help out the craft brewers” and make some money, says Mr. Polley, who also runs a legal-research firm. While the WSJ article does still use the same recycled explanations of why hops prices are so high, at least they’re spinning a unique perpective into it. 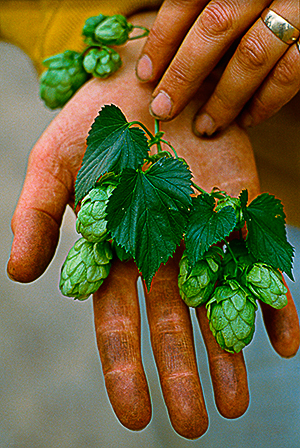 And the article does shed a little light on the history of growing hops — especially in the U.S. — with some new and unique information, even for me. I would certainly recommend giving it a read.